Great Exhibitors, Great Products, Great Services! The planners of UMGEOCON believe exhibitors are an essential part of the conference learning experience. Better than anyone else, companies and individuals involved in commercial enterprise are in the know about cutting-edge developments coming down the line and what geospatial practitioners should be doing to prepare for those developments. For this reason, the Planning Committee greatly appreciates every exhibitor who comes to UMGEOCON and strongly encourages attendees to take full advantage of this opportunity to engage and learn. Information about how to exhibit can be found on the Exhibit page. Certainty 3D is an Orlando, FL company focused on process solutions for lidar scanning technology. Our flagship product, TopoDOT™ , is a high performance MicroStation™ application for importing and extracting topography and models from point clouds, calibrated images and related data. TopoDOT™ offers a balance of automation and streamlined user interaction designed to maximize productivity while assuring quality. TopoDOT™ facilitates the use of point clouds and calibrated images across Survey, Design, Engineering, Construction and Management operations to enhance quality, improve efficiency and increase profitability. Certainty 3D also offers a range of supporting software and hardware product solutions designed to increase operational productivity. In addition, Certainty 3D offers customers a full range of training and processing support services. EagleView is the unparalleled provider of Pictometry® aerial imagery, data analytics, property data, and GIS solutions for local and federal government agencies, including assessment, public safety, and GIS, as well as the construction, insurance, solar, and energy infrastructure industries. EagleView provides access to its orthogonal and oblique aerial imagery, 3D models, and measurement and analytical tools through proprietary software as well as partner integrations. With a fleet of more than 115 aircraft at its disposal and a 3.75 petabyte data library with more than 350 million images, EagleView offers more coverage and third-party integrations than any other aerial imagery provider. Eos Positioning Systems, Inc., designs and manufactures the world’s premier, high-accuracy GPS / GNSS receivers for the Bring Your Own Device (BYOD) market. This is known as the Arrow receiver series. The Eos team offers extensive support for connecting your Bluetooth submeter, subfoot and RTK GPS / GNSS receivers to any iOS, Android, Windows, and Windows Mobile device. The free Eos software utilities, such as the Eos Tools Pro app, and SDK support for all mobile device operating systems allows users to smoothly integrate the Eos GNSS Arrow receivers into their mobile GIS workflow. 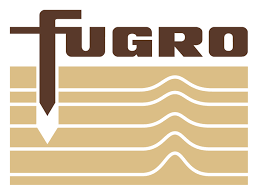 Fugro N.V. is a Dutch multinational public company headquartered in Leidschendam, the Netherlands, and is the world’s leading, independent provider of geo-intelligence and asset integrity solutions for large constructions, infrastructure and natural resources. Fugro acquires and analyses data on topography and the subsurface, soil composition, meteorological and environmental conditions, and provides related advice. With its geo-intelligence and asset integrity solutions, Fugro supports the safe, efficient and sustainable development and operation of buildings, industrial facilities and infrastructure and the exploration and development of natural resources. Fugro works around the globe, predominantly in energy and infrastructure markets offshore and onshore, employing approximately 10,500 employees in around 60 countries. In 2016 Fugro’s revenue amounted to EUR 1.8 billion. The company is listed on Euronext Amsterdam. Martinez Geospatial takes tremendous pride in developing and maintaining unparalleled client relationships. Our client-centered philosophy follows a consultative approach to determining project needs and expectations, while adhering to stringent quality assurance and communication protocols. We work closely with each client to develop a customized plan of appropriate services and products, resulting in a more accurate and timely final deliverable and greater overall customer satisfaction. Our ability to produce innovative geospatial solutions tailored to the specific requirements and goals of each unique project is what sets us apart from other firms in the industry. And by always keeping the clients' needs first, we are able to ensure that each project is conducted in a manner so as to exemplify a positive Martinez Geospatial experience. No matter the size of the project, Martinez Geospatial promises unsurpassed excellence in technical quality and customer service. North Point Geographic Solutions (NPGS) is an innovative Geographic Information Systems (GIS) and Information Technology (IT) firm headquartered in Duluth, Minnesota. We specialize in Federal, State and Local Government, as well as Forestry Management GIS applications and solutions. Using the latest in today’s GIS technology, software programming languages and Agile development techniques, we provide high quality, responsive application development and data management services tailored to our individual client’s needs. Sentera’s integrated software, analytic, sensor, and drone products deliver fast, accurate information that helps agronomists, crop consultants, advisors, and growers take in-season action to improve yields. Our solutions integrate with the most popular digital agriculture platforms, efficiently delivering critical measures of real-time crop performance directly into the tools that ag professionals already use. Featured at UMGEOCON will be our fixed-wing PHX Pro RTK variant, capable of achieving sub-5cm and better accuracy on orthomosaics and 3D mapping and modeling products — without the need for surveyed ground control points or time-consuming post-processing of the GPS data. Stop by; we’d love to connect! Trimble’s Geospatial Division provides solutions that facilitate high-quality, productive workflows and information exchange, driving value for a global and diverse customer base of surveyors, engineering and GIS service companies, governments, utilities and transportation authorities. 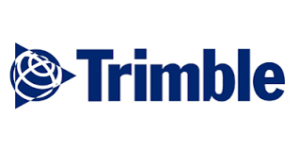 Trimble’s innovative technologies include integrated sensors, field applications, real-time communications, field-to-office processing and software for modeling and data analytics. Using Trimble solutions organizations capture the most accurate spatial data and transform it into intelligence to deliver increased productivity and improved decision-making. Whether it’s more efficient use of natural resources or extending the life of civil infrastructure, reliable information is at the core of Trimble’s solutions to transform the way work is done. The GIS Professional Programs at the University of Wisconsin – Madison are your one-stop shop for learning all things GIS and visualization. We offer an ecosystem of learning opportunities for everyone from recent undergrads to seasoned GIS gurus. Online, or in-residence, we have exactly the right program to help you launch or rejuvenate your career. We also offer you lifelong learning opportunities, including free class content access and upgrades for life. Come find out why we’re one of the fastest growing online programs in the country and find the right certificate or master’s for you! At the USGS EROS Center, we study land change and produce land change data products used by researchers, resource managers, and policy makers across the nation and around the world. We also operate the Landsat satellite program with NASA, and maintain the largest civilian collection of images of the Earth's land surface in existence, including tens of millions of satellite images.